Our website has a wide range of photographer resume templates that can be used widely by photographers for preparing their Resume. 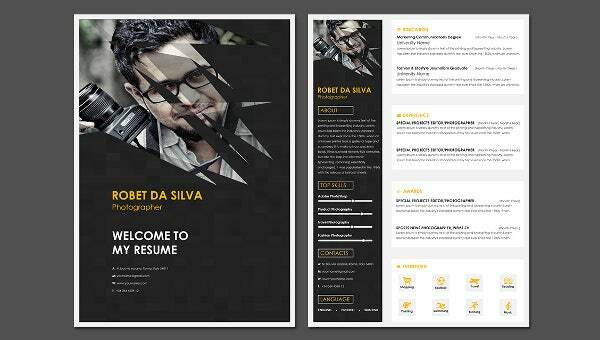 These Resume Templates are available in different formats and styles and can always make your work easy as they are easy to understand and use. Thus they save a lot of time. These templates are present in fine quality that makes them worthy of being used and they leave an impact. They are available in high resolution and that adds to the plus points. You can download and print them in PSD format as you like and want it.